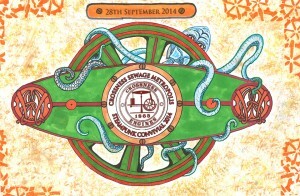 The Crossness Engines Sewage Metropolis Steampunk Convivial on the 28th of September. The culmination of the great Metropolitan Board of Works’ epic civil engineering project devised and led by Sir Joseph Bazelgette. The Crossness Pumping Station is a lasting testament to the genius, craftmanship and foresight of the great Victorian engineers and notables. A gargantuan project that saved London from disease and decline, the benefits of which we still enjoy today. Experience this magnificent 150 year old building with its 1,000 tons of cutting edge Victorian construction hailed in its day as a modern wonder of science and engineering. Decorated in the highest of Victorian design the architecture of the building is a feast for the eyes. The multi coloured wrought iron interior is both beautiful and practical. A hidden gem in the hinterland of Erith & Thamesmead, it is rightfully described as the ‘Cathedral of the Marshes’. This is a rare chance to experience this beautifully restored Grade 1 building and grounds. Enjoy our facilities: a lovely cafeteria, modern toilets, wheelchair access to the Visitor Centre and Engine House floor. Ample parking with disabled spaces. Riverside walk. Wildlife Garden and a treasure trove of old engines. Previous PostNottingham Tesla Workshop 2003Next PostFinally, Power from a tesla coil – Free energy?